Where Did All of These Taxes Come From? In a way, it’s appropriate that the familiar and prophetic quotation comes from Benjamin Franklin, America’s first diplomat and a printer by trade. Franklin expressed a sentiment that we’ve all felt. Taxes are an unpleasant certainty as we go through life. But how did it all become so complicated? Americans haven’t always been complacent about the taxes we’re asked to pay. If you’ll recollect your American History classes in high school, you’ll remember a little event that was later dubbed the Boston Tea Party. King George III had imposed a succession of new taxes on his loyal colonists, and the Tea Act, passed by the British Parliament in 1773, was the proverbial straw that broke the back of the camel. 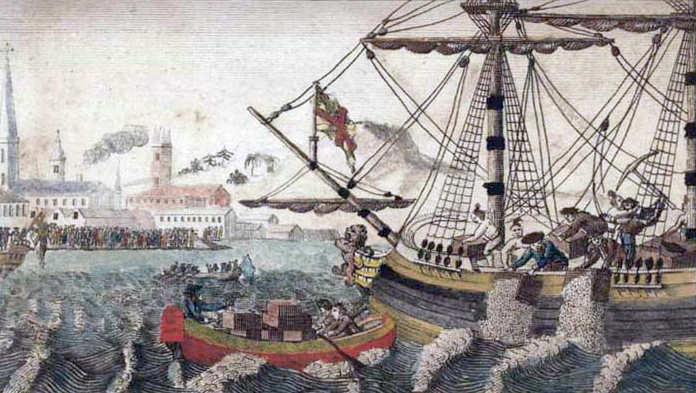 Shouting “no taxation without representation,” the Sons of Liberty, disguised as American Indians, threw 342 cases of the stuff into the harbor. The aversion to British taxes didn’t stop the newly established United States government from collecting a few taxes of its own. In the early years of the nation, the central government collected tariffs on imports including whiskey and glass. State governments instituted poll taxes and property taxes on land and buildings. In 1791, Alexander Hamilton proposed the first tax from the newly formed federal government. The so-called “whiskey tax” became law in 1791 and was violently resisted in the frontier regions of Pennsylvania. The Whiskey Rebellion climaxed in 1794 with an armed attack on the home of General John Neville, who had been appointed the federal tax collector. The insurrection was suppressed, but the whiskey taxes remained difficult to collect. Tariffs on imports remained the principal source of revenue for the federal government until World War I. Even though the majority of the population was not directly taxed, tariffs were not always popular. In 1828, a new tariff was passed by the U.S. Congress, designed to protect Northern manufacturers from imports of low-priced European goods. Southern states, dependent upon European trade for cotton, dubbed the new bill the “Tariff of Abominations.” South Carolina threatened secession over the issue, and the “nullification crisis” became one of the issues that led to the Civil War. In comparison with today’s complex system of taxation, collection of tariffs was easy. Import taxes were collected at the port before cargo could be unloaded (or thrown overboard). Property taxes and poll taxes were imposed only on property owners and were collected by the states. With the exception of excise taxes (sales tax), most individuals were not subject to direct taxation from the federal government. That changed in 1861 with the first income tax, collected to finance the cost of the Civil War. The Revenue Act of 1861 imposed a 3% tax on all incomes over $600. In 1862, the income limit was increased to $800. The first income tax was unpopular and short-lived. It was rescinded by Congress in 1872. The initial attempts to impose an income tax were also constitutionally questionable. At the time, the Constitution specified that direct taxes must be apportioned among the states according to their census population. In an 1895 decision, Pollock v. Farmer’s Loan and Trust Company, the Supreme Court of the US confirmed this position, effectively making individual income taxes impractical as a source of revenue for the federal government. 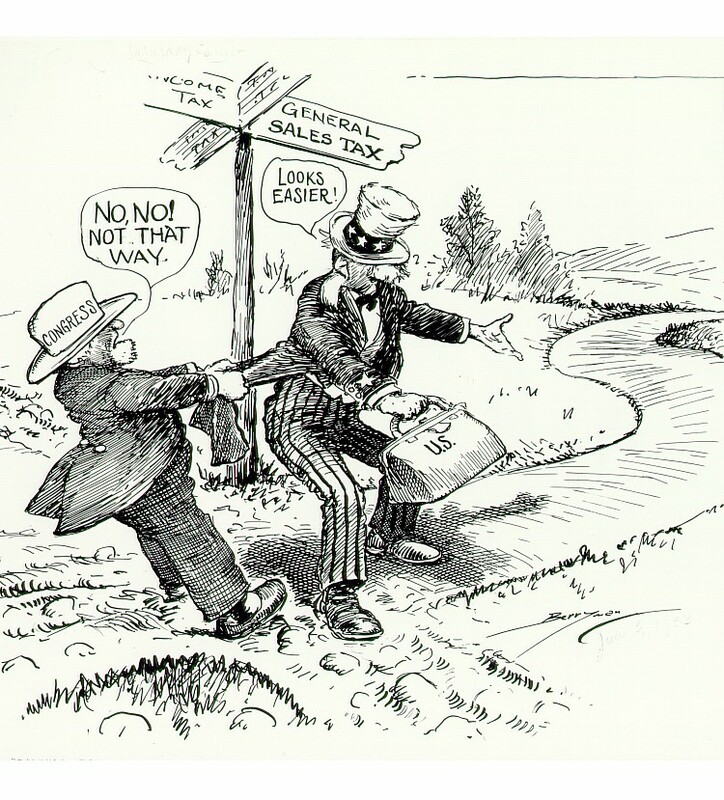 Inflation ran high between 1909 and 1913, and many blamed high tariffs and excise taxes. In 1913, the Sixteenth Amendment to the Constitution was ratified by the states, effectively overturning the Pollock decision. Income taxes on U.S. citizens were reimposed in 1916, levying a 1% tax on net personal incomes above $3,000, with a 6% surtax on incomes above $500,000. Rates were increased in 1918 to fund WWI. The authorization of income taxes in 1913 also resulted in the introduction of a now-familiar document. Tax Form 1040 was so named because the previous Department of the Treasury document was number 1039. The first 1040 form was four pages long, including 2 pages of instructions. 350,000 1040s were filed in 1914, and the feds audited 100 percent of the returns. Today, over 115 million 1040s are filed each year, and the IRS audits less than 1%. Form 1099 was introduced for the 1917 tax year, and employers were required to use the form to report salaries paid in excess of $800. 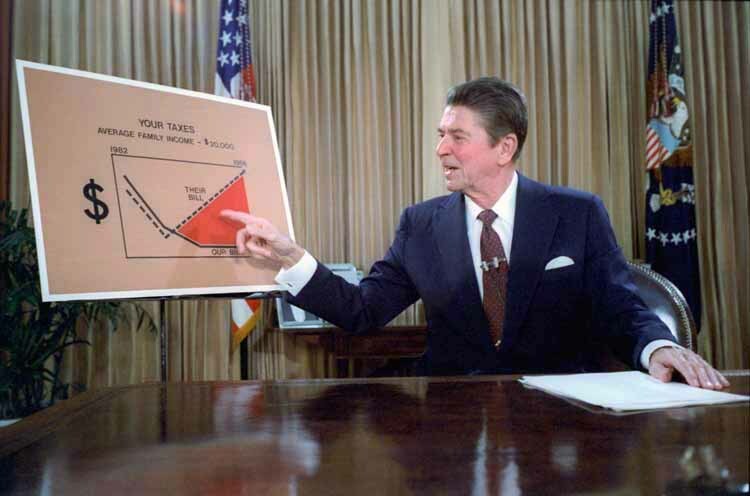 Ronald Reagan frequently commented that his Democratic opponents “never met a tax they didn’t like,” but in fairness, both Democrat and Republican administrations supervised the expansion of the tax code beginning with the Revenue Act of 1935. In a message to Congress that year, President Franklin Roosevelt firmly cemented the system of income taxation for businesses and individuals and fulfilled Benjamin Franklin’s prophecy with a renewed proposal for estate and inheritance taxes. The Current Tax Payment Act of 1943 introduced the W-2 form, and the policy of tax withholdings from individuals. Since 1940, Congress has passed at least one tax bill each year, adding progressively to the complexity of the U.S. Tax Code. According to a Washington Examiner article, the current code is now 74,608 pages long, a massive expansion from the 504 pages of regulations in 1940. The word count is over 10 million, and Americans spend 6.1 billion hours and $233.8 billion each year to comply with tax regulations. Maybe this little excursion through history has made you wince a little. Us, too. We’ll stay politically neutral, but there’s a lot to be said for the idea of throwing our current code into Boston harbor along with the remains of the tea. Like it or not, it’s time now to order your end of the year tax reporting forms for 2016. Sphinx Business Solutions provides W-2s, 1099s (all flavors), envelopes, self-mailers and basically everything else you’ll need for reporting to employees, the IRS, and the Social Security Administration. New ACA filings are due beginning in January 2017 for large employers. We have those forms, too. Visit our tax forms page or click the banner ad below for more information. Russell, Jason, Look at How Many Pages are in the Federal Tax Code, Washington Examiner, 2016.